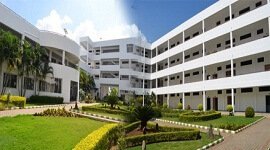 GSSS Institute of Engineering and Technology for Women Mysore popularly known as GSSSIETW is a world class educational institution for women. 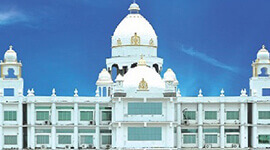 The institution is intended to imparting professional education to the students, creating technical opportunitiesand technical achievements through academic excellence.GSSS(R) is a non-profit organization which has an objective of value addition in terms of providing best infrastructure and services for the cause of education. The main objective of the institution is to empower women with the additional skill for professional future carrier and enrich students with research blends in order to create multidisciplinary center of excellence. 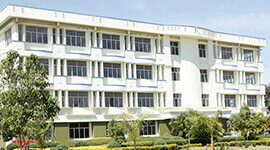 GSSSIETW is the first exclusive women’s engineering college in Karnataka. 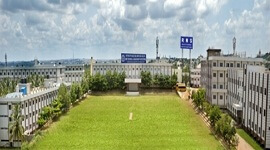 The college has pollution free lush green campus with emphasis on value based education for women. 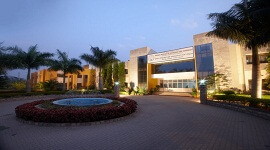 The college has amenities likehi-tech labs and library. Excellent placement department to train students throughpersonality & skill development programs.Fabulous hostel of international standards within the campus. GSSSIET is affiliated to Visvesvaraya Technological University, Belagaviand approved by AICTE New Delhi &Govt of Karnataka. GSSSIETW offers BE courses, M.Tech courses and doctoral programs leading to Ph.D.
GSSSIETW hascentral library and also departmental libraries which support research, teaching and also reference. 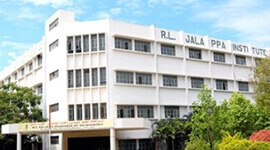 The library is one of the best engineering college libraries which incorporate latest technology. The library is center of excellence to technical students and serving as resource center and aims to build collection and create tools to support research and teaching. GSSSIETW has computer center for students and faculty members. The entire campus is Wi-Fi enabled and high speed internet is available in the campus to help students to carry out academic projects. The seminar hall equipped with audio and visual systems is available in the campus. 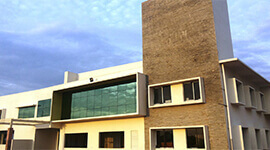 The spacious and the college has well equipped auditorium for conducting extra-curricular activities. GSSSIETW has spacious and hygienic canteen inside the campus.Coffee bar in the campus provides light refreshments and chats. 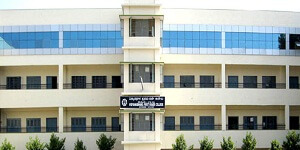 The college has transportation facility for students and staff to commute from different corners of Mysore. The campus has stationary shop and photo copying facility. 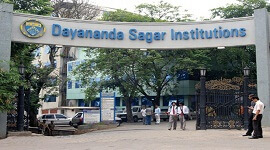 The college has medical MoU with nearby hospital. GSSSIETW has hostel facility for students. It has three blocks. Each student has a separate wardrobe, study table, chair, cot and pin-up board attached bath that is modern and suited to international standards.A modern kitchen with steam cooking facility and mechanized food processing equipment is located to cook pure vegetarian food.A clean dining hall with mineral water for drinking is provided for students.Student’s amenities center that caters to the student’s requirements like photocopying, spiral binding, lamination, mobile recharge and many more is housed in the hostel.Doctor visits the hostel for consultation thrice a week. A nurse is available 24 hrs. to take care of sick students. Indoor and outdoor sports facility is present in the hostel premesis.Power backup, security and courier services are also available. 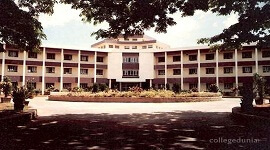 This is the first women’s engineering college registered under VTU, Belgaum. The placement department has an amazing infrastructure with the state-of-the-art infrastructure. The institute has a full-fledged, innovative placement department to conduct placement and recruitment activities. Placement Department plays an important role in counselling, training and guiding students for their successful future and the placement. Placement Department is also responsible for providing pre-placement training, MoU with IT companies and Industry-Institute partnership. The main aim of the department is to empower professional employability in women’s by providing training to reach the expectations of the Industry and to achieve high placement records by giving sufficient and attractive job opportunities. To attract more major campus recruiters for the better placement opportunities. To train the students with the high knowledge and finishing school skill. The VII semester students of Electronics and Communication department won “Best Concept” award for the paper “Decision-Making system for LC/LU using RS Data” and another group of students got “Best paper award” for the paper “Remote Sensing Data for Pollution Monitoring to Support Oil and Gas Industry”. Many students batch won the best paper award and many prizes for their technical achievements. GSSSIETW's has an amazing infrastructure in which it comprises hostel system consists of 3 blocks that can accommodate more than 400 students. Each hostel block has a warden to supervise and help the day to day management of the students. Each room is designed for three 3 sharing. The room comes with a modern and international standard of facilities and attached bathrooms. Each student has a separate study table, wardrobe, cot, chair and pin-up board. The Library part of the institute consists of a huge Central Library and 6 departmental libraries which support the research, teaching and extension programs of the institution. The institutional library is setting new goals time to time and successfully achieves the goals. 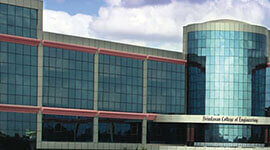 It has good infrastructure and state-of-the-art facility and emerged as the modern library.